Fitness enthusiast Tiger Shroff is one of the most successful actors from his generation. The ‘Baaghi’ actor has an enviable record at the box office. While everyone keeps a track of Tiger’s professional life, his fans are equally interested in his personal life as well. For quite a long time now, rumours of Tiger dating his ‘Baaghi 2’ co-star Disha Patani have been doing the rounds. The alleged couple has been spotted together on several dinners and lunch dates. In fact, they always make a joint appearance at social gatherings and Award shows. However, they have never publicly admitted to dating each other. 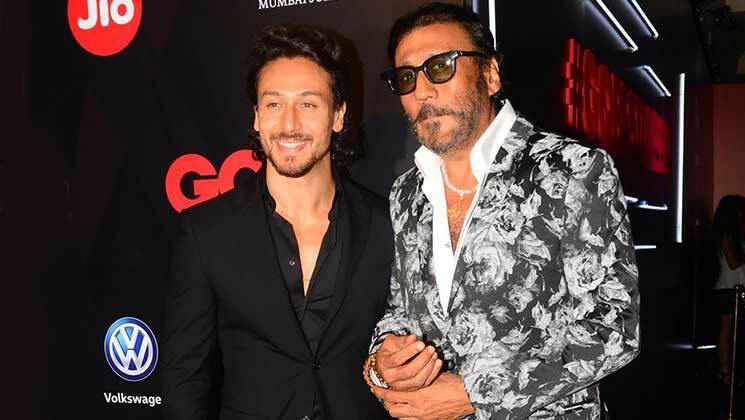 Interestingly, Jackie Shroff in a recent interview with Bombay Times, spill the beans regarding his son’s relationship status. While Jackie didn’t mention Tiger’s girlfriend’s name but he clearly stated that his son is no more single. On the work front, Tiger will be next seen in ‘Student Of The Year 2′ and ‘Baaghi 3’. Whereas Jackie will be next seen in ‘Bharat’ which also stars Disha Patani. Now that’s interesting, isn’t it?